Just when you think you’re getting the hang of this parenting thing, everything changes. I can’t say no one warned me about this, but the first three months went so well! My son was sleeping consistently through the night, on his own, no problems, and I will admit I thought we were doing pretty darn well. Aaaaaand…then the teething started. 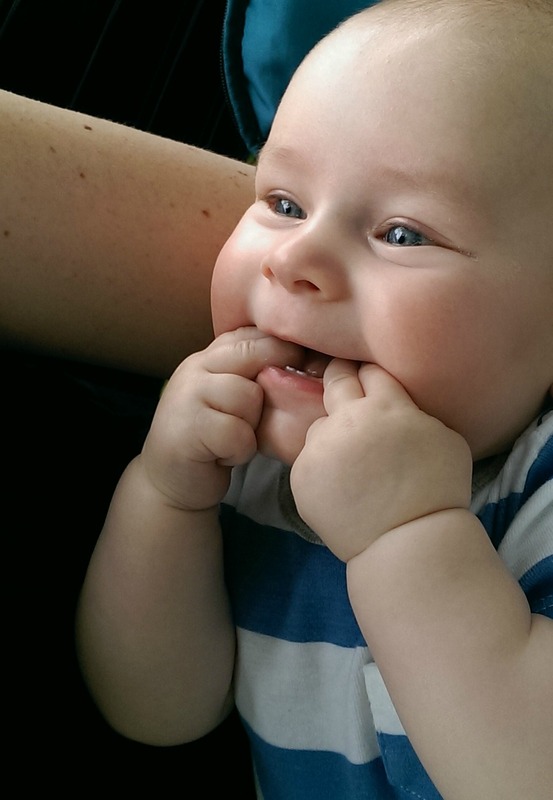 Baby teeth – cute but difficult! It started with lots of chewing on his hands and drooling and before we knew it, two tiny bottom teeth popped out — one after another. And at the same time, his formerly delightful self disappeared and he turned into a crabby, fussy boy. I had a feeling it wasn’t just teething, so in to the pediatrician we went. Ear infection. The combined effect of the infection, teething, tylenol for the teething, and antibiotics for the ear infection was a sad baby who refused to nap unless he was snuggled in my arms. Suddenly it became a lot harder to get other things done! And since this was the first time he’d been sick, I was extra cautious and nervous. He spent about 2 ½ weeks with a low grade fever off and on every day. I loved being able to document his temperature in my Evoz Baby app (I use Evoz Baby on my iPhone). I also started tracking his diapers because I wanted to make sure he stayed hydrated. 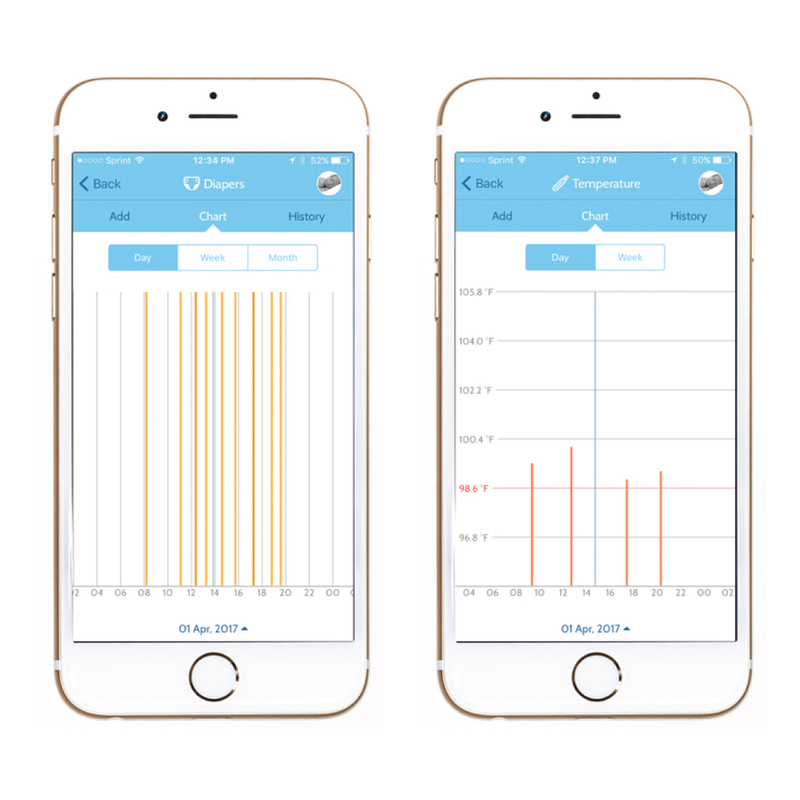 The app helped ease my nerves: I didn’t have to rely on my worried, sleep-deprived brain to remember when he’d last eaten or had a diaper change, the data were always right there at my fingertips. So this wasn’t an easy month, but I still have many blessings to count. 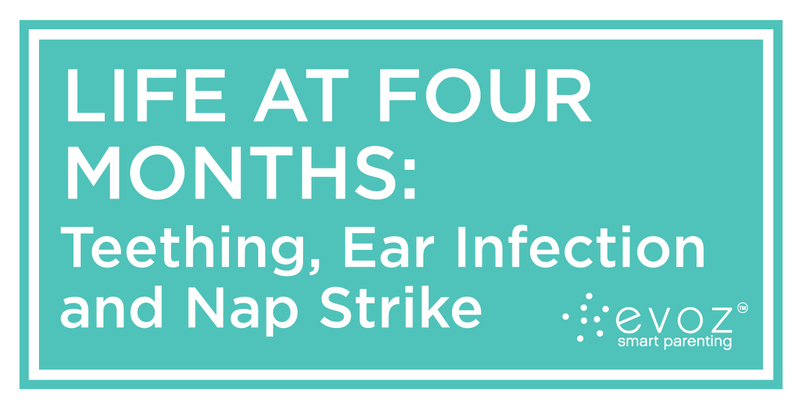 We made it nearly four whole months – through cold, flu, and RSV season – sickness-free, and I was sure happy that our first adventure with kid sickness was as simple as an ear infection. And no sign of the four month sleep regression yet! But now I know better than to get overconfident: who knows what next month will bring?